My first attempt at a palm tree gradient! After using a cosmetic sponge to create the gradient effect as a base color for my nails (there are lots of tutorials for this on youtube), I free-handed some palm trees. 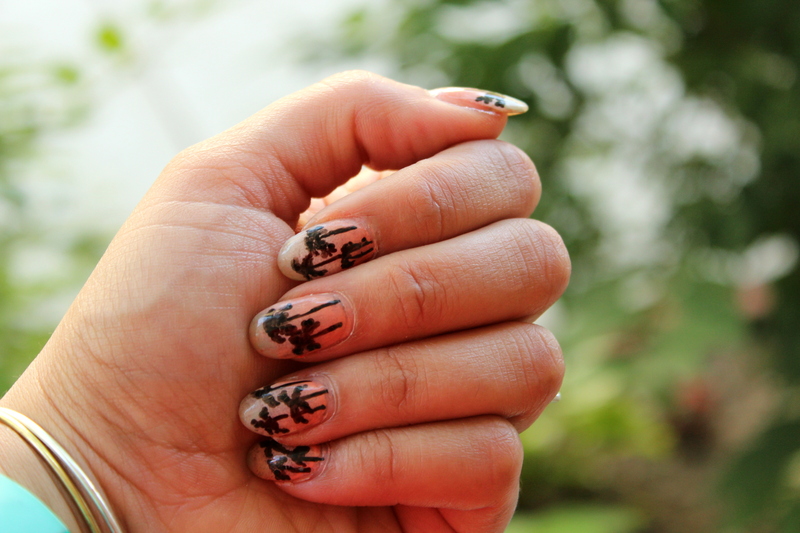 Using the I Heart Nail Art Pen (once again) made creating the palm trees very effortless, but I think I might prefer to use a thinner, more precise striping brush the next time around. I feel like the trees lack a bit of definition and the color was pretty thin in some spots. 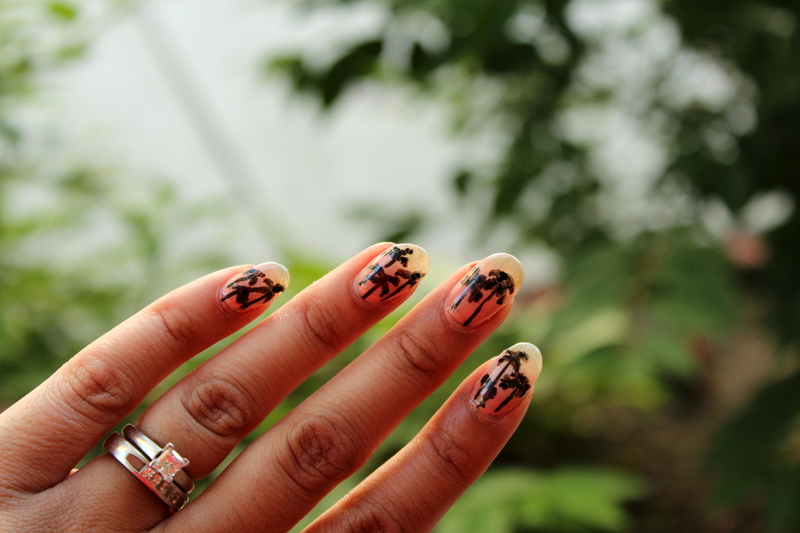 Sad to think that it’s almost time to wrap it up with these summer-themed manis!